737 Overhead Panel - Part 12 - (Relatively) Cheap Locking Toggle Switches | Life, The Universe and ... Everything! My locking toggle switches have arrived! Up till now I've been using mini toggle switches (where you flip the lever to change their state), purchased on eBay. They're cheap and you can get them in all the different configurations needed to build a 737 Overhead Panel (On-On, On-Off-On, (On)-(On), On-Off-(On), where (x) means the lever will not stay in that position but spring back to the center when released). On the real 737 Overhead Panel however, some of these switches are "locking" switches. These means that to protect them from being accidentally triggered, they will not move from their position unless you pull forwards on the lever first. The originals are made by Honeywell, and are bloody pricey, at around USD40 for each switch -- and you need a lot of them. So up till now I have to make do with non-locking switches. A while back I discovered a chinese company called Salecom makes locking mini-toggle switches, under their T-80 series. I was a able to get their catalog, to determine the configuration of switches and their model numbers. They only sell in bulk quantities, however. I've been looking for them in smaller quantities on eBay, but none of the locking models have made their way their. I did however find them on Taobao, a chinese-language site, for models T8014-LK (ON-OFF-ON) and T8013-LK (ON-ON). The only problem is that I don't understand Chinese. I tried using google translate, and even got a friend to help with some translation, but gave up in the end. Recently however I came across another website, tbfocus.com, that acts as a "middle-man" to help you deal with Taobao.com sellers in two ways. The first is that their site acts as a proxy to taobao.com, translating the taobao product descriptions on the fly, and also providing a category index to help browse products. Secondly, tbfocus.com also will help deal with the sellers on your behalf and consolidate your shipping. So you order the items through tbfocus.com, and they order the items from the sellers in China, sent to their warehouse. The will then inspect the goods and send you photos to confirm everything is in order, following which they will consolidate everything into a single package, and ship it to you. So if you have multiple orders, you stand to save. 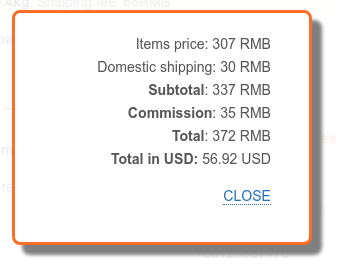 Furthermore, unlike most china-based websites, tbfocus.com accepts paypal. Not exactly cheap compared to the regular toggle switches, but still cheaper than 2 original honeywell switches. 8-). It arrived within 10 days via EMS. Some of them have since occasionally appeared on eBay. Search for the part numbers, but make sure they have the "-LK" at the end of them, as these are the locking types. Although listed as T8013-LK, which are single pole switches, I seem to have received dual-pole switches. So these would be T8011-LK respectively. The T8014-LKs I received are correctly single-pole.